Capable of producing enough energy to power the facility, the Combined Heat and Power (CHP) project came together as a result of Campbell Canada’s push towards energy efficiency and sustainability, and was made a reality when Toronto Hydro helped arrange incentive funding through the saveONenergy program. 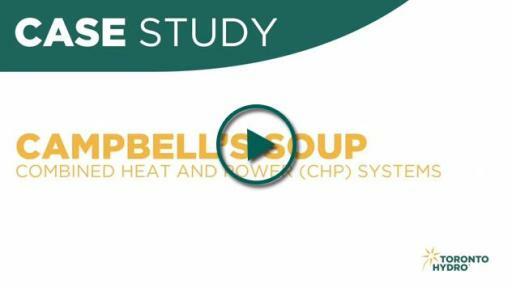 30-second video highlighting the Combined Heat and Power project at Campbell Canada. This Combined Heat and Power plant at Campbell Canada’s Toronto location took two years to complete. CHP is a technology that uses a natural gas fueled engine to generate electricity and produce heat. 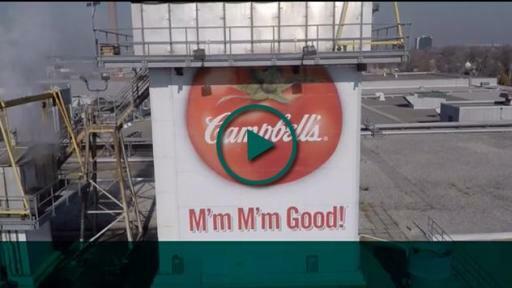 The heat produced from the engine generates steam, which is used by Campbell Canada to cook soup. 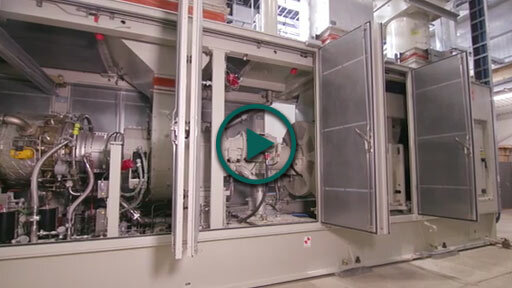 The CHP plant now supplies up to 93% of the company’s annual steam requirements. The power is used entirely within the Campbell Canada facility, displacing electricity which was previously supplied from the electricity grid. In 2010, Campbell Canada set an aggressive goal to cut its environmental footprint in half by 2020 and the company is well on track thanks to projects like the CHP plant. This project allows Campbell Canada to save on electricity costs, has environmental benefits and provides reliable emergency back up power, ensuring soup production is never impacted. Toronto Hydro owns and operates an electricity distribution system, which delivers electricity to approximately 756,000 customers located in the city of Toronto. It is the largest municipal electricity distribution company in Canada and distributes approximately 19% of the electricity consumed in the province of Ontario. A leader in conservation, Toronto Hydro supports the province‘s Conservation First energy strategy, actively promoting conservation by offering our customers expert advice, programs and incentives. Toronto Hydro supports CHP as it helps reduce demand on the electricity system at a time when the city is growing at an unprecedented rate. Campbell has also embarked on other significant energy-efficiency projects, including a $100,000 compressed air upgrade, a major LED lighting retrofit, the introduction of sensors, and more. What is a Combined Heat and Power plant? The CHP project at Campbell Canada’s site uses a natural gas turbine to drive a generator, which produces electricity. The hot combustion gas is then delivered to a secondary system which is integral to the CHP plant. Hot exhaust air produced by the turbine is then delivered to a heat recovery steam generator, which uses the heat energy to produce steam at a pressure which is suitable for Campbell Canada’s needs.